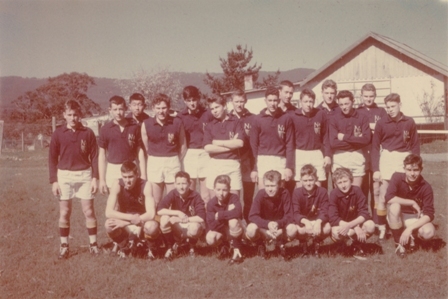 Pictured on right Col Standfield 1958 NHS Team. 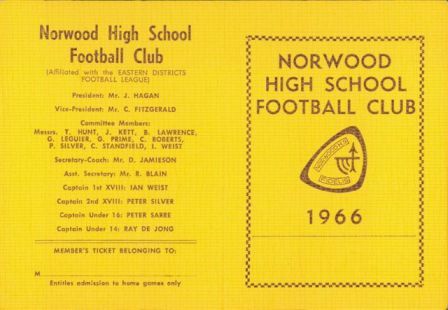 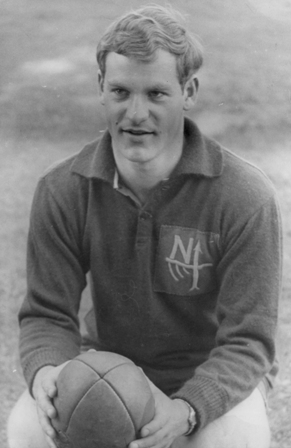 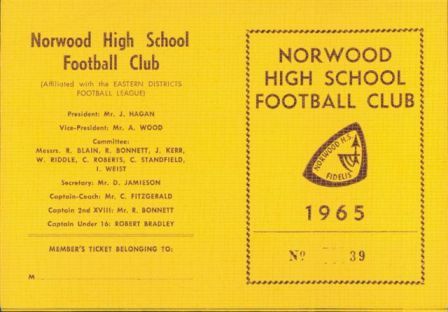 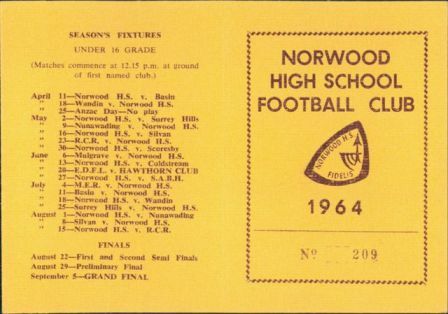 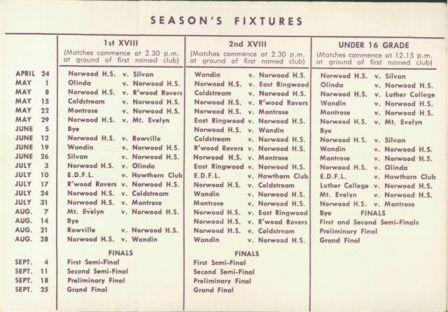 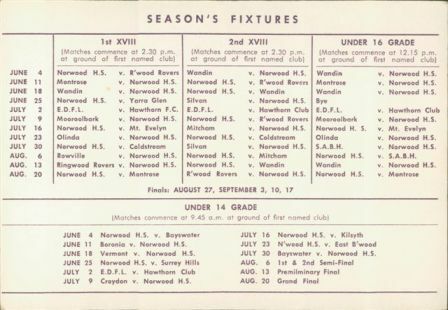 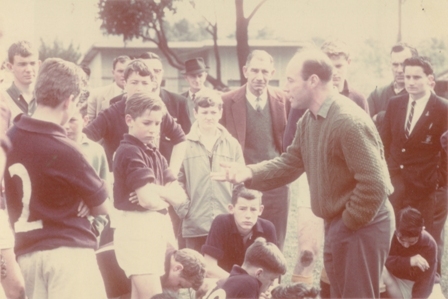 Col became the first Norwood Football Club Captain in 1960. 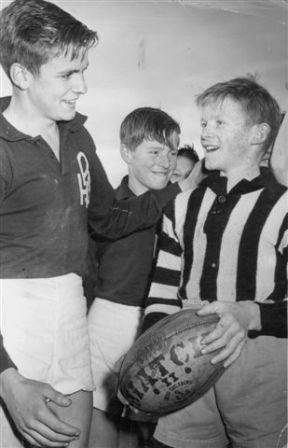 In the same year Col was Club best and fairest and Runner-up B7F in the Croydon-Ferntree Gully Footbal League. 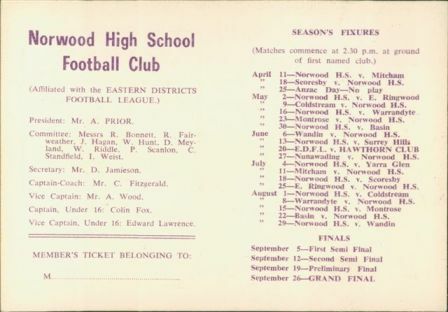 Colin played 181 senior games at Norwood.